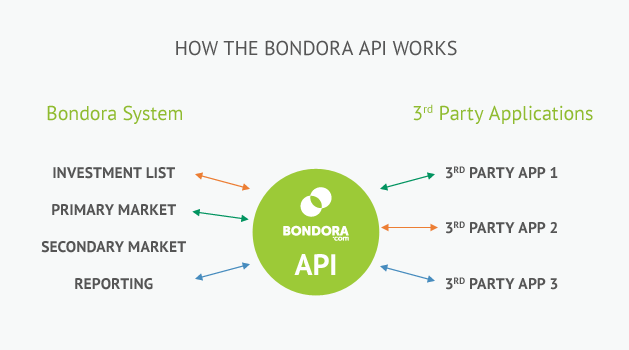 Bondora has made its Application Program Interface (API) publicly available in Europe for both its retail and institutional investors. A publicly open API makes it possible to create a truly connected eco-system where numerous 3rd party services are built on a single marketplace. This will result in an increased quality of the P2P lending industry and Bondora as a whole. “Being open with data and allowing people to research and build services on top of it will ensure the necessary transparency to make the entire financial eco-system more sustainable”, says CEO of Bondora, Pärtel Tomberg. E.g. NSR Invest in the U.S. already automates investments in marketplaces like Lending Club and Prosper that makes it possible to invest into different loans across platforms. “Through Bondora open API we want to offer the same possibility to our investors and service providers in Europe”, adds Tomberg. Bondora API is an interface that provides information and exposes Bondora’s functionality for other services and applications (see illustrative figure below). Investors benefit from the API by having access to data and services that cater to their individual wishes and by getting the ability to bid on specific loans that fit their personal investment strategy. API is an interface for accessing the functionality of Bondora platform without the user interface. Bondora has embraced open data in order to develop the first marketplace connecting borrowers and lenders all across Europe through personal loans. The transaction ledger, including all loan applications, issued loans and payments, is public and available to download for anyone. Bondora is now able to fulfill the needs and wishes of different investor segments without having to compromise. Passive investors can use the simple web site and the more active ones can build services that cover exactly their personal needs. “We hope that all other platforms as well as credit institutions will follow suit and make their data and APIs publicly available. Our data needs to be open and available to everyone as it helps others to better manage counter-party risks and understand a financial service provider’s financial health. Overall this will reduce the inherent risks of the entire financial system”, says Tomberg.